We let out single spaces or Multiple spaces. We can give our clients short term lets or long term lets at reasonable rates. We are also always looking for new car parking spaces so please contact us if you want to rent your space and make it earn you an income. Also do you need a car space for a day important meeting don’t want to be worrying about parking, VIP can offer you a secure parking space for the day near were you need to be, call us to enquire. If you require line painting services our highly qualified team are ideally positioned to provide you the highest quality finish. Which includes, Lettering, Road Markings, Line Removal, Directional Arrows, and more. One of our core services in the installation of speed bumps. Speed bumps (or speed breakers) are the common name for a family of traffic calming devices that use vertical deflection to slow motor-vehicle traffic in order to improve safety conditions. Our knowledgeable team are here to offer you advice on selecting the ideal kerbing solution for your situation. We’ll ensure you get the perfect systems to fit your exact needs. We provide a wide variety of car parking bollards for every type of situation. 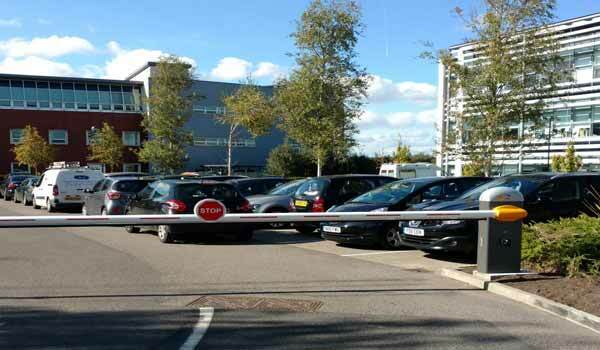 Car parking bollards are a great solution to reserve your valuable Parking Allocation. Talk to our friendly team who will endure you get the systems that’s right for you. We supply and install the best quality Security gates and barriers systems for commercial business property. Our service includes automation of gates, security controls and installation of all safety technology and equipment. RFC Courier Services offer the complete range of same day delivery options. Our Same Day Courier service means that you can rely on secure, timely, nationwide deliveries 24 hours a day, seven days a week, 365 days a year. As same day courier specialists, it's our business to respond quickly to urgent or ad hoc requests.